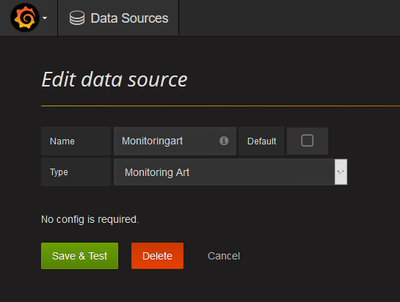 Monitoring Art datasource for Grafana. Please add your GitHub star ★, it will encourage us to publish more Monitoring Art dashboards. Add some art into your Grafana. Real metrics. No dependency, no waiting for data collection. Just install, import dashboard(s) and enjoy it immediately. Visit plugin presentation microsite www.monitoringart.com and public snapshot of Monitoring Art. Note: Grafana 3.0 or greater is required to install and use plugins. No configuration. Just add the datasource and then import dashboard(s). Do you want Monitoring Art with your logo? Not a problem. Contact author and buy your customized Monitoring Art. Feel free to create pull request to improve datasource/datasets quality - source GitHub repo. Devops Monitoring Expert, who loves monitoring systems, which start with letter Z. Those are Zabbix and Zenoss.